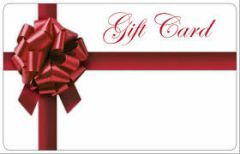 Simply type in the amount for the Store Credit / Gift Certificate you would like to purchase. At check out, the system will ask you for the recipients email address and name. Once checkout is complete and email with the Gift Certificate code is sent to that person.